This is #5 of our Weekly update, today again with some smaller chunks! Attention: Zuki’s Quest and also Katrin’s colorful Moonstory are ON SALE for $0.99/0.89€. We talked to John from BigSushi.fm about being Indie and the Mobile space in general. They have a really great show and if you are interested in Indie-Developers of all sorts, you should definitely check out their site. Muffin Munch is coming along nicely. 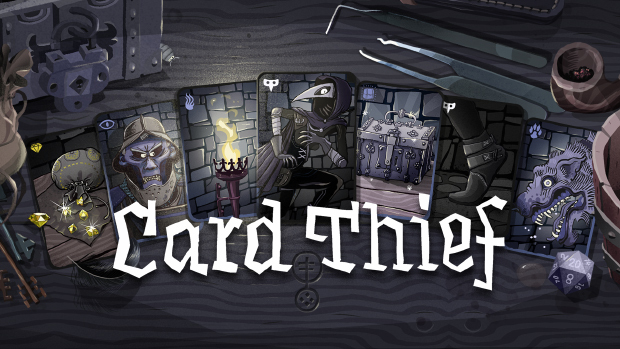 This week we had a lot of time to ad more visual polish and also started with integrating the tutorial. Wiebke is on fire with producing new Muffins and they look really cool. We will post some excerpts in the coming days. 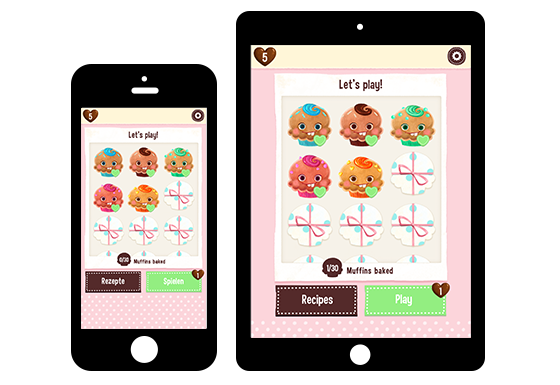 Here’s a first look of the Main-Menu, both on iPhone and iPad. From today on for a limited time Zukis Quest and Katrin’s colorful Moonstory are on sale on the App Store. You can get both for $0.99/0,89€. If you haven’t had the chance to check both of them out, this is your chance! We would love if you could help us to spread the news! If you already have both of them, you should give Threes a try. 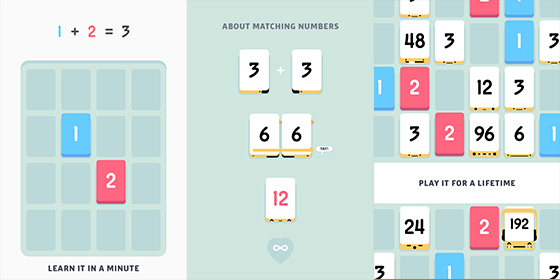 Threes is a super interesting Matching/Puzzle game by Asher Volmer. Everything from the Gamedesign to the super slick UI is amazing and it’s #1 position in the paid US iOS Store is well deserved. Thats it for this week. Have a nice weekend and play some Zuki’s Quest or Threes!